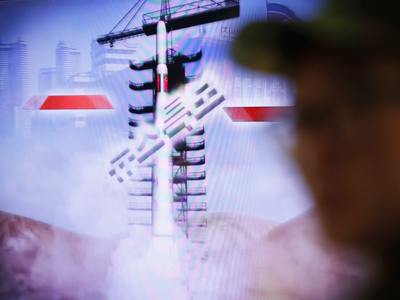 North Korea has announced it's about to carry out a third nuclear test and more long-range rocket launches, which it says are designed to target the United States. ­"We are not disguising the fact that the various satellites and long-range rockets that we will fire and the high-level nuclear test we will carry out are aimed at the United States," North Korea's National Defense Commission says. Pyongyang now threatens to wage a “fully-fledged confrontation'' against the US for what they call continued hostility. 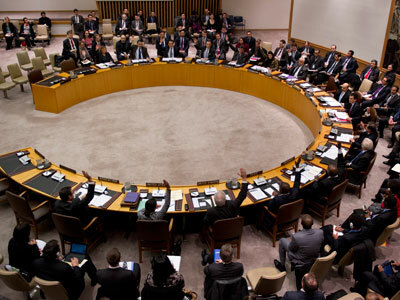 The declaration follows the UN Security Council's condemnation of North Korea on Tuesday and expanded sanctions against the regime for launching a rocket in December. North Korea has always claimed the launch was a peaceful satellite mission, but the US and others say it was actually a test of long-range missile technology. In the face of what it considers to be a US threat, North Korea “will take steps for physical counteraction to bolster the military capabilities for self-defense, including the nuclear deterrence, both qualitatively and quantitatively,'' the country's Foreign Ministry warned in a statement. Japan states North Korea does not yet have the technology to create compact nuclear warheads, but its missiles are already advanced enough to reach the US West Coast. The latest report published by Japanese observers, states the North Korean missile program has attained a new high and poses a grave threat. The North was banned from developing missile and nuclear technology under sanctions dating from its 2006 and 2009 nuclear tests. 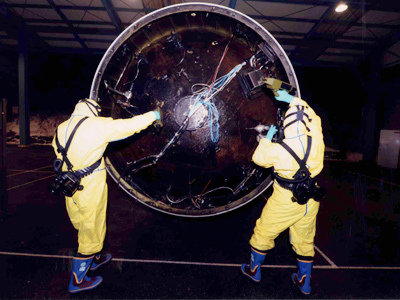 First tests used plutonium, were detonated underground and had limited success. This time around, the international concern is that Pyongyang may use highly-enriched uranium and get better results. North Korea does not give a time-frame of when they intend to undertake the threatened nuclear test. The US has already called on the North to not carry out its third test. "We hope they don't do it. We call on them not to do it," Glyn Davies, the top US envoy for North Korean diplomacy, said in the South Korean capital, Seoul. There is no clear indication of an imminent nuclear test, observers say. However, satellite photos recently taken at North Korea's underground nuclear test site in the far northeast showed continued activity that suggested a state of readiness even in winter. North Korea has enough weapons-grade plutonium for about four to eight bombs, according to nuclear scientist Siegfried Hecker, who visited North Korea's nuclear complex in 2010. In 2009, Pyongyang also declared that it would begin enriching uranium, which would give North Korea a second way to make atomic weapons. The latest UN Security Council resolution demands North Korea abandon its nuclear weapons program in a "complete, verifiable and irreversible manner," as well as Pyongyang cease rocket launches. The North insists its rocket launches are purely peaceful. 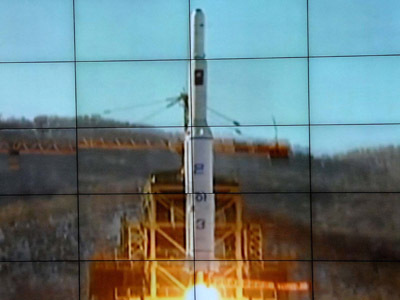 The December 12 ‘satellite’ rocket launch has been celebrated as a great triumph in North Korea. The scientists involved have been treated like heroes ever since. North Korean leader Kim Jong-un mentioned the launch in his New Year's Day speech laying out the country's main policies and goals for the year. Banners hailing the event were posted on buildings across the capital. The US, however, is not buying into the ‘satellite’ story, considering such launches covert tests of ballistic missile technology since satellite launches and long-range missile launches have similar firing mechanisms. As if to confirm that suspicion, North Korea showed off what appeared to be an intercontinental ballistic missile at a military parade last April. On Thursday the United States denounced Pyongyang’s threat to conduct a nuclear weapons test as “needlessly provocative,” warning it would lead to further isolation and sanctions. "Further provocations would only increase Pyongyang's isolation and its continued focus on its nuclear and missile program is doing nothing to help the North Korean people," White House press secretary Jay Carney told reporters. "These tightened sanctions will help impede the growth of weapons-of-mass-destruction programs in North Korean programs – in North Korea, rather – and the United States will be taking additional steps in that regard, but I have nothing more for you."